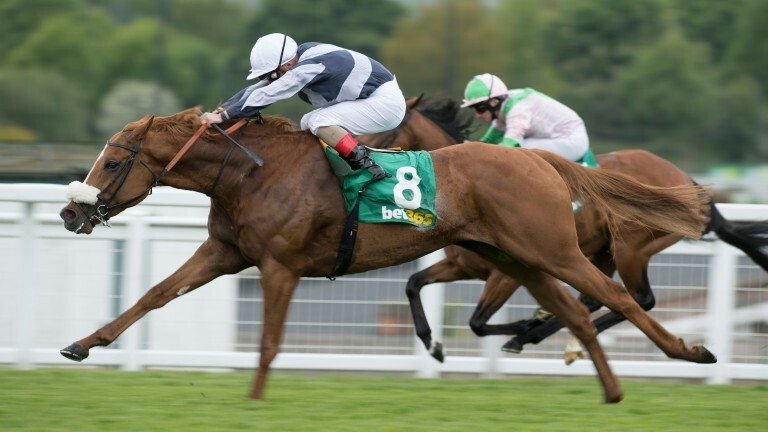 As the turf season reaches full stride, so Group races again begin to fall the way of the progeny of Coolmore’s all-conquering Galileo - and on Friday at Sandown it was Ulysses that did the business for his breed-shaping sire in the Group 3 Gordon Stakes. Friday’s success was the third of Ulysses’ career, following a Newbury maiden and the Group 3 Gordon Stakes at Glorious Goodwood last year. He now looks poised for a productive four-year-old campaign for Sir Michael Stoute, celebrated for his handling of the maturing horse. And that could see him go at least some of the way towards living up to his illustrious pedigree. Ulysses was bred by the Niarchos family’s Flaxman Stables out of Light Shift, a daughter of Kingmambo best remembered for landing the 2007 Oaks for the family and Sir Henry Cecil. Light Shift is a half-sister to Shiva, winner of the Group 1 Tattersalls Gold Cup in 1999, while the likes of four-time Grade 1 winner Main Sequence and the promising Cloth Of Stars also appear under Ulysses’ second dam. Further back in his pedigree appears a name more commonly associated with Cheltenham rather than Royal Ascot: Champion Chase winner Dodging Bullets is out of a daughter of Ulysses’ third dam, Northern Trick. And as if to emphasise his dominance, Galileo also recorded a 1-2 in the race, with Ulysses beating Deauville into second place. If Galileo is the undisputed daddy of the European sire ranks, then it looks as though one of his sons, Frankel, has emerged as the heir apparent. Cunco, the first foal and first winner supplied by Frankel, became his eighth stakes scorer when landing the Group 3 bet365 Classic Trial in determined fashion, with another of his sons, Frankuus, back in third. The three-year-old colt Cunco, bred and raced by the Don Alberto Corporation, is the first foal produced by the Group 3-winning Danehill Dancer mare Chrysanthemum, who was bought with Cunco in utero for 800,000gns from the 2013 December Mares Sale at Tattersalls. Earlier on the card another of Frankel’s sons, Atty Persse, snatched victory from the jaws of defeat when overcoming a troubled passage to maintain his unbeaten record in the ultra-competitive Esher Cup. Roger Charlton’s charge, who had been purchased privately by Godolphin since making a winning debut over the same course and distance last September, was bred by his previous owner Bjorn Nielsen. He is the first foal out of the Listed Pretty Polly Stakes winner of 2011, Dorcas Lane. The daughter of Norse Dancer is a half-sister to Faasel, a Grade 1-winning hurdler, while it is also the family of Godolphin’s Grade 1 performer Tryster. Atty Persse was twice offered at public auction, as a foal in 2014 and during Book 1 of the following year’s Tattersalls October Sale. On both occasions, however, was listed as a vendor buyback - at 200,000gns and 160,000gns respectively. Having been retired from his own racing career after his two-year-old campaign, Dark Angel is a sire more routinely associated with precocity and speed. But the longevity of his stock was highlighted at Sandown on Friday, as a pair of representatives from his first crop, both now eight, fought out the finish to the Group 2 bet365 Mile. It was Sovereign Debt, a seasoned campaigner rejuvenated by the move to Ruth Carr's yard, who beat fellow stalwart Gabrial half a nlength. Bred by Dark Angel’s custodians Yeomanstown Stud, Sovereign Debt is out of the Listed-placed Most Welcome mare Kelsey Rose, whose five other winning progeny include the 2010 Fred Darling winner Puff. Dark Angel was also represented by a smart prospect at Doncaster, with the John Gosden-trained Eldritch taking his record to two wins from as many starts with a comfortable success in the opening handicap. The three-year-old carried the familiar silks of George Strawbridge, having been picked up by Blandford Bloodstock for 75,000gns at the 2015 December Yearling Sale. The colt is out of the Cape Cross mare Henties Bay, a daughter of the Prix Maurice de Gheest winner Blue Note and a half-sister to 1995 Cheveley Park Stakes winner Blue Duster. Gosden's Group 2 winner Western Hymn, who landed the 2014 renewal of the Sandown Classic Trial, also appears underneath the second dam.